The perfect audio surveillance has not yet been realised. However, the PKI 2505 is already very close to this request. Similar to the human hearing, this system can „concentrate“ on the direction of the noise source and eliminate useless interferences. This effect, also known as „cocktail party effect“, allows the human being to determine the direction of a noise source via his/her sense of hearing and to simultaneously filter this source. Besides direction-specific signal processing, the hearing also uses other noise reduction effects, such as knowledge of signal characteristics. This way, non-verbal sounds and noises can be ignored as irrelevant when dealing with voice. The PKI 2505 exactly works according to this system. Here, the so-called „beam forming technology“ allows to localise, emphasise and track voice signals using a microphone array and to simultaneously fade down undesired noise. The electronics trained on voice eliminates usual parasitic noise, such as machine noise, wind noise, etc. The housing makes you think of a standard smoke detector and is ceiling-mounted. Outdoor assembly is possible in weatherproof locations. 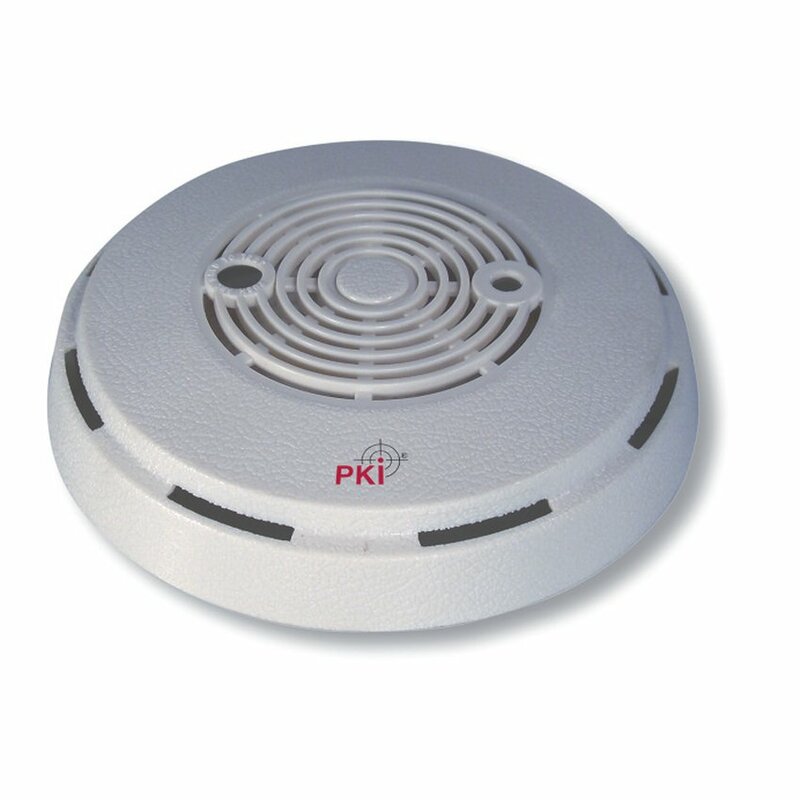 The PKI 2505 is mounted in a compact housing and is operated by a rechargeable battery or mains supply. Recording completely digitally on SD card max. 16 GB. Operating time: rechargeable battery: approx. 14 h, mains operation: infinite.